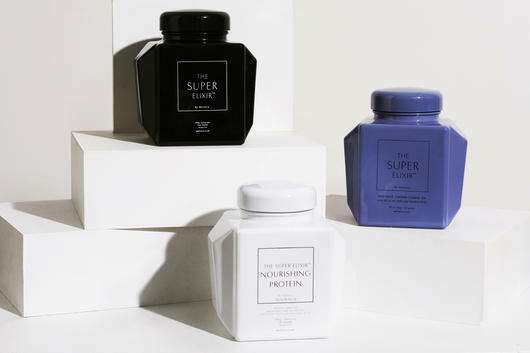 Every now and then I come across a natural health supplement which honestly changes my life... for me, WelleCo is absolutely one of those brands, so I asked none other than Elle Macpherson everything you need to know about her WelleCo powders, and even what she personally uses! Over the years I have honestly tried so many natural health supplements... If you have followed me for a long time then you will know I have struggled with adrenal fatigue and it has been a real journey to find supplements which help me get out of bed in the morning. Thankfully, by now I have actually found some really amazing products, and WelleCo is without a doubt one of my all-time favourite brands — that's why I had to share more about this incredible range with you! I can honestly say that the WelleCo greens powder has changed my life! I have it every morning in my smoothie to help get my daily greens in, and I notice such a huge difference if I miss it... by mid-afternoon I am exhausted! When I first decided to try it, I thought, if it's good enough for Elle Macpherson (co-founder of WelleCo) then it's good enough for me, so of course I wanted to ask none other than Elle (yes, "The Body!") 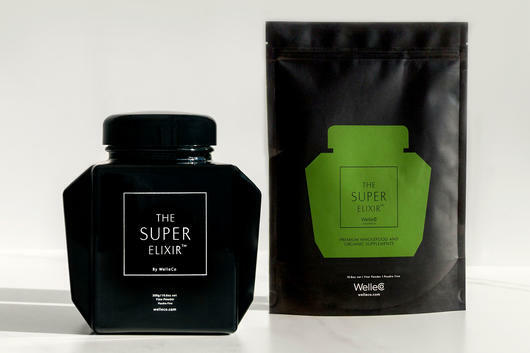 all about exactly what makes WelleCo powders and supplements different, how we should use them and even what her personal daily supplement routine is. Irene: Why did you start WelleCo? Elle: I have always exercised to stay fit and taken daily supplements to boost my health, but when I was turning 50, I started feeling really rundown. 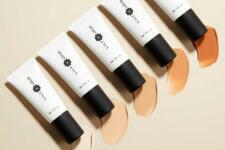 I became sick more often, my skin lost its glow and I was very low in energy. 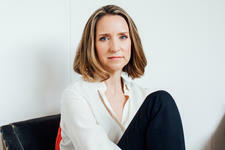 I met with Dr Simone Laubscher PhD in London who specialises in the science of nutrition. She ran a battery of tests and discovered my pH levels were off-kilter, which were causing my body to try to compensate. As a result, my body was working overtime, all the time, which was making me feel exhausted. Dr Laubscher formulated a super greens powder for me, and the transformative results I experienced made me realise what a profound impact nutrition can have on the way you feel. That formula became WelleCo's first product, Super Elixir that we launched in 2014. It's a one-and-done super greens powder with 45 plant-based ingredients. It has transformed my life. What makes WelleCo protein different to other protein powders? I think what sets our elixirs apart is that they are formulated by nutritional experts who have found the right blend of premium plant-based nutrients that work together to address acidity in the body and nourish the body. Each one provides a real efficacy that I have discovered has truly transformative effects on my health. 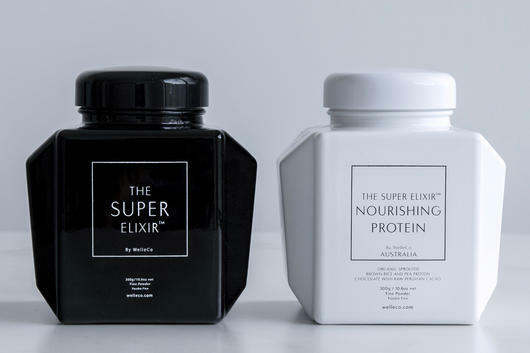 When is the best time to take the Super Elixir and the Nourishing Plant Protein? I believe in balancing internal and external beauty from the inside out, so my everyday beauty regimen always starts with two teaspoons of Super Elixir in filtered water for clear firm, hydrated skin. Mid-morning is always a WelleCo Nourishing Plant Protein smoothie. I add one scoop to filtered water and half an avocado then blitz it in a blender. It is formulated with organic sprouted brown rice and pea protein that helps boost my energy levels, prevents bloating, and curbs cravings until lunch time. Which is the best powder for helping with gut health? The Super Elixir is a careful balance of plant-based nutrients that work together to help maintain a healthy pH range and good gut health. When Dr Laubscher was formulating the Super Elixir she looked at the average imbalances of an adult and thought about what specific ingredients she could include to support gut health and balance the body's 11 systems. We included ingredients like Horsetail and Omega 3 for healthy hair, skin and nails, Pro and Prebiotics to support digestion, and Shiitake and Maitake mushrooms that when combined, are great for the immune system. Can you tell us about the kids' protein powder? What does it do? When we moved to America, my son Cy started eating lunch from the school canteen instead of the home-packed lunch he used to have in the UK. He would choose empty carbs at school and come home starving. To fill the gap between after school and dinner, he craved sugary snacks, and as a result, felt grumpy. I decided he needed a nourishing alternative that was good for him but still tasted delicious. So, we formulated the delicious and seriously healthy Super Kids Nourishing Plant Protein, without all the additives, animal by-products, and sugar. It's a light plant-based protein packed with all nutrients a growing body needs. It's a great alternative for after-school snacks, sports or added to breakfast smoothies. Cy was on the tasting panel and is always whipping up interesting concoctions in the kitchen. How long do I take WelleCo powders for? Every day? When it comes to good habits, I believe in keeping things simple. Along with other non-negotiables like cleaning my teeth and cleansing my skin, two teaspoons of Super Elixir everyday is mandatory for me so I can provide my body with everything needed for the day ahead. What's your daily supplement routine? We have formulated elixirs for morning, noon and night. When I wake, I put two teaspoons of Super Elixir Greens in filtered water. Sometimes I add it to my celery juice! Mid-morning I make myself a WelleCo Nourishing Plant Protein Peruvian Chocolate smoothie to increase my energy levels. If I need an extra boost, I might make a chocolate mousse with WelleCo Super Elixir Greens and Nourishing Plant Protein, 1/2 avocado, fresh spinach and filtered water. This is my go-to snack when I'm craving something delicious but also nourishing. The probiotics support digestion and a healthy gut pH balance, which means I'm healthy on the inside and the outside. Sleep for me is an essential and I have always found it difficult to unwind, which is the reason we created Sleep Welle Calming Tea. I brew a pot one hour before sleep. It is a unique medicinal blend formulate with valerian root, hops and skullcap to assist with anxiety and sleep issues.